Spring has come, but it’s still cold outside the Arctic Circle in Alaska. 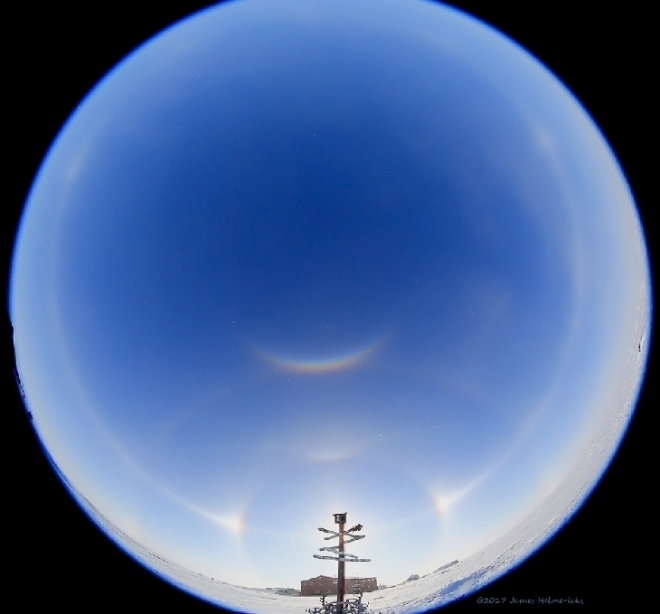 On March 27, ice crystals hung in the air of the Coleville delta on the northern coast of the state. That’s what happened after the sun’s rays penetrated the sparkling atmosphere. 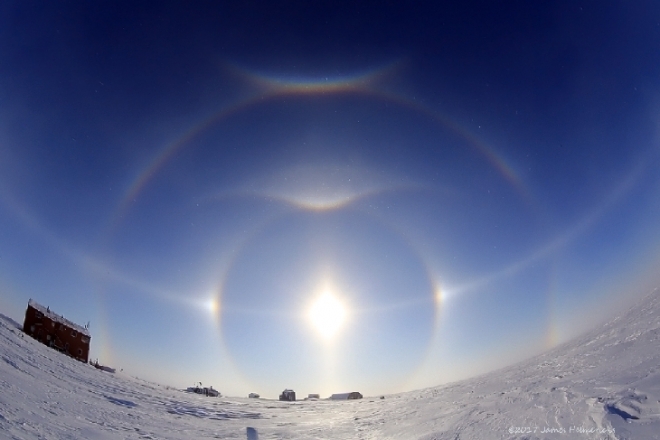 “About noon the usual 22-degree halos and false Suns were formed. When the star descended below, many other aureoles appeared, including a rare 46-degree halo and many other phenomena, “says the author of the photo, James Helmerix. The diversity and clarity of this halo is a sign that the sun shone through “diamond dust” – ice crystals of exceptional purity. Diamond dust consists of very small ice crystals that are formed at a sufficient humidity and very low temperature – below -30 ° C. In the sun, the ice crystals weighed in the atmosphere sparkle brighter than diamonds, for which the phenomenon has received such a name.